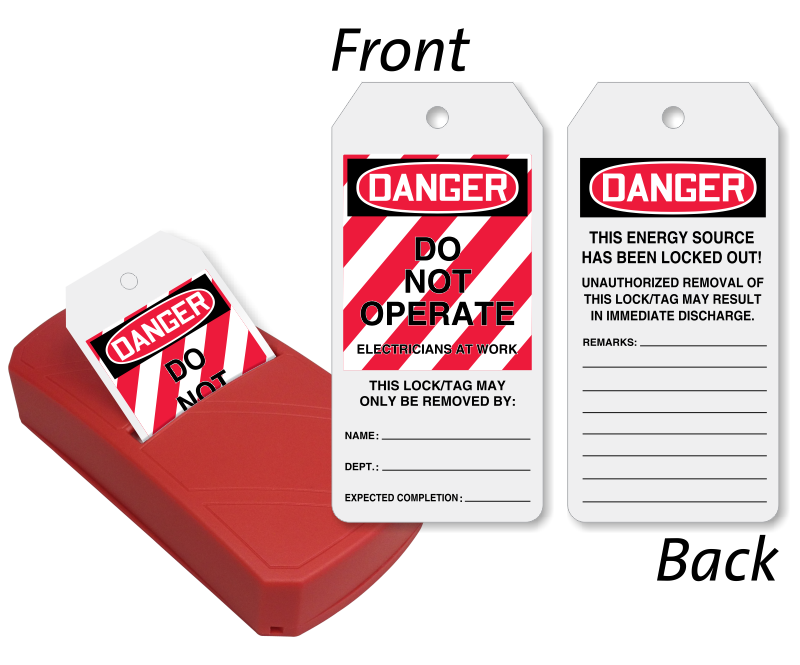 Our double-sided Do Not Operate Electricians At Work Lockout Tags can be conveniently detached from this Take-A-Tag Dispenser. 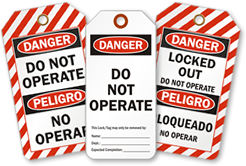 • Tags are made of plastic based material that is tear-proof and water-resistant. • 100 tags are neatly placed in the plastic dispenser in a fan-folded manner. 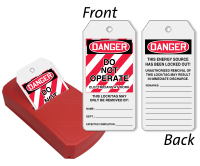 • We also offer refill pack of 100 tags to fill the dispenser once it gets empty.